Justice Shabbir Ahmed was born on December 20th 1942, in Allahabad, after initial schooling, he obtained B.A. (1961) and LL.B (1963) Degrees from University of Allahabad. He was enrolled as Advocate High Court on 12th August 1964 and practiced on Civil Side in Allahabad High Court upto 1967. He migrated to Pakistan in June, 1967 and practiced on Civil Side in Karachi upto 1973 and remained affiliated with M/s. Mansoorul Arfin & Co. Advocates. 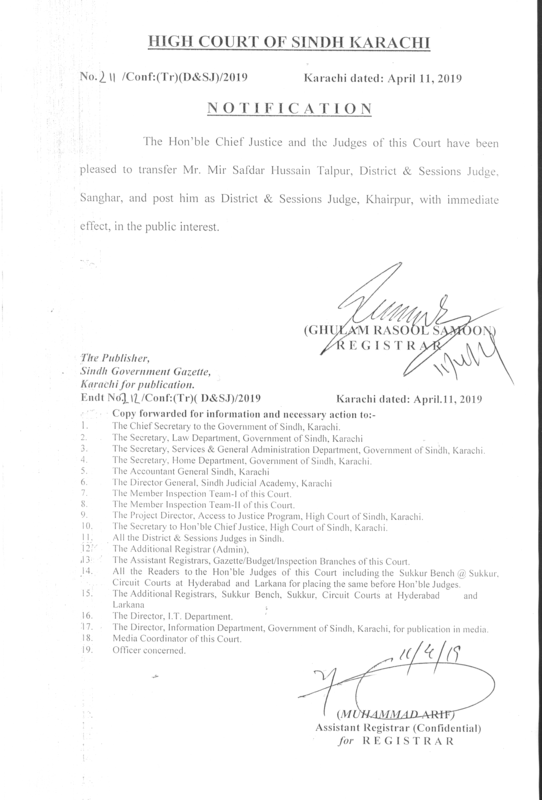 He joined Sindh Subordinate Judiciary as Senior Civil Judge on 26.3.1974 and served in that capacity in Sanghar (1974-1975) and Hyderabad (1975-1978) Districts. 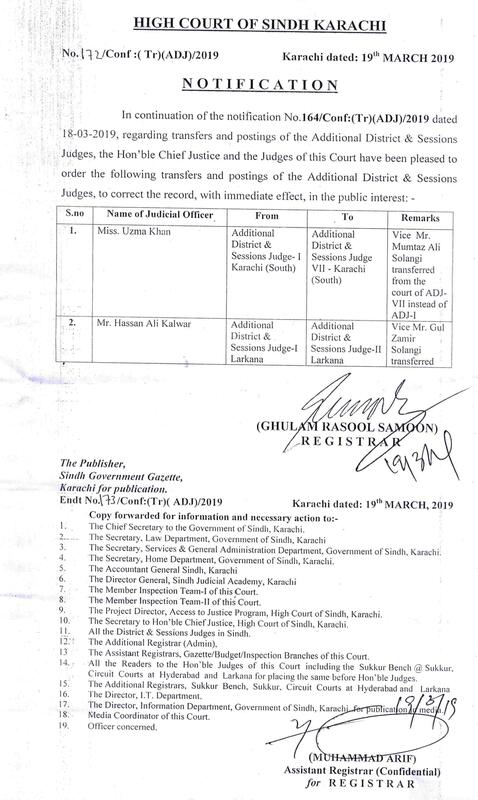 He was promoted as Additional District & Sessions Judge in November, 1978 and served in Districts Sukkur (1978-1980), Larkana (1980-1983) and Nawabshah (1983-1985).He was promoted as District Sessions Judge on 19th February 1985, served as Member Inspection Team, High Court, District & Sessions Judge in Districts Dadu, Karachi ( South), Khairpur, Karachi (East), Mirpurkhas and Karachi (Central). 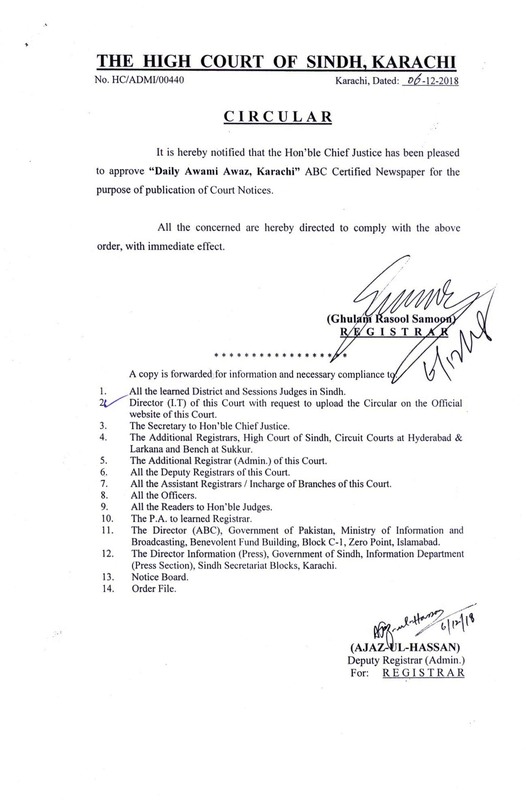 He was also posted as Presiding Officer, Sindh Labour Court No. 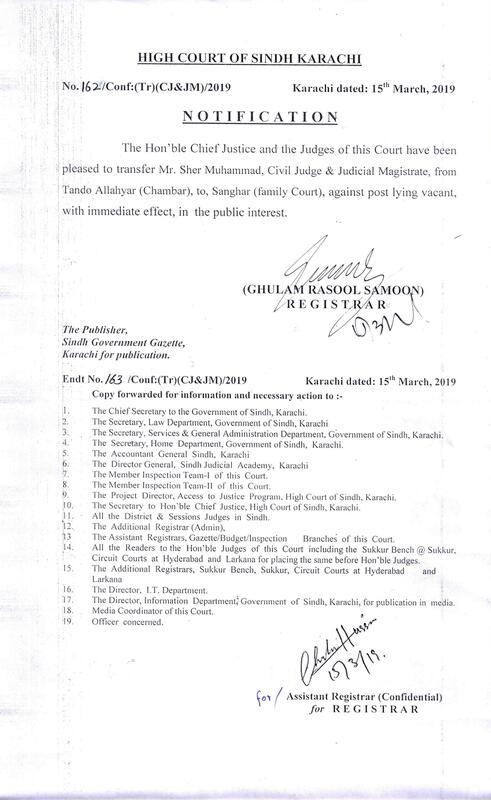 III, Karachi and Sindh Labour Court No. 8, Larkana. He also served as Registrar High Court, Sindh (thrice), (1986-1988), (1988-1989) and (1997-1998). 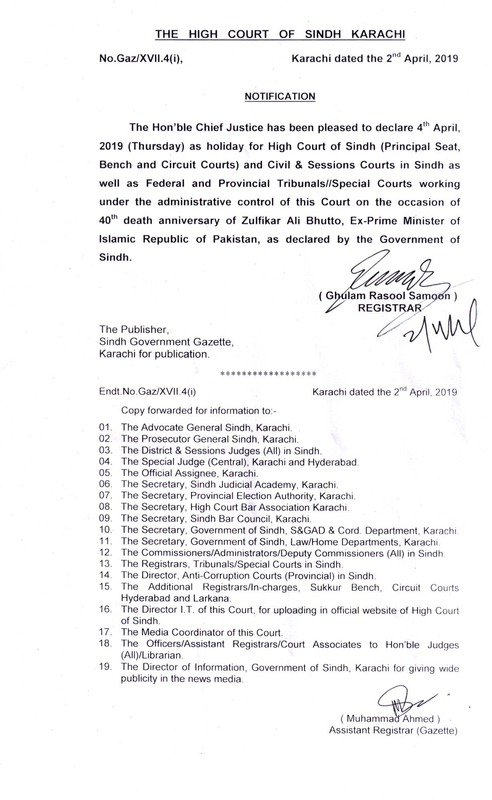 He was elevated to Bench on 27th May, 1998 as Additional Judge for one year and was confirmed on 27th May, 1999. and Retired from High Court of sindh on 19-12-2004. 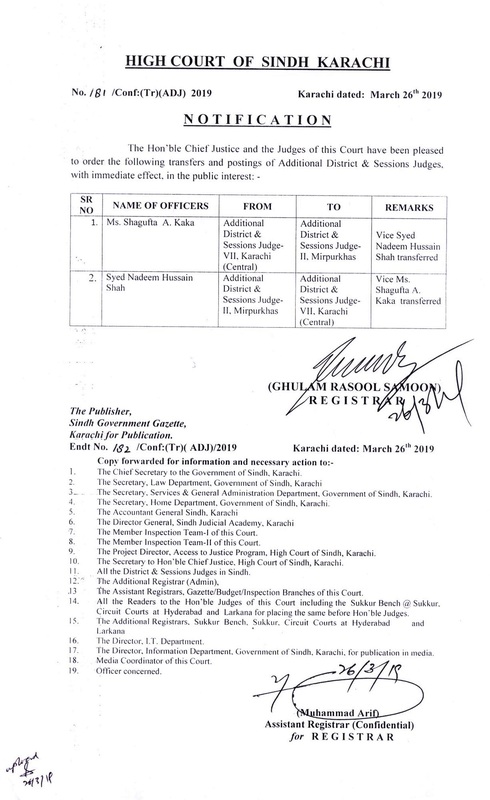 He was promoted as District Sessions Judge on 19th February 1985, served as Member Inspection Team, High Court, District & Sessions Judge in Districts Dadu, Karachi ( South), Khairpur, Karachi (East), Mirpurkhas and Karachi (Central). 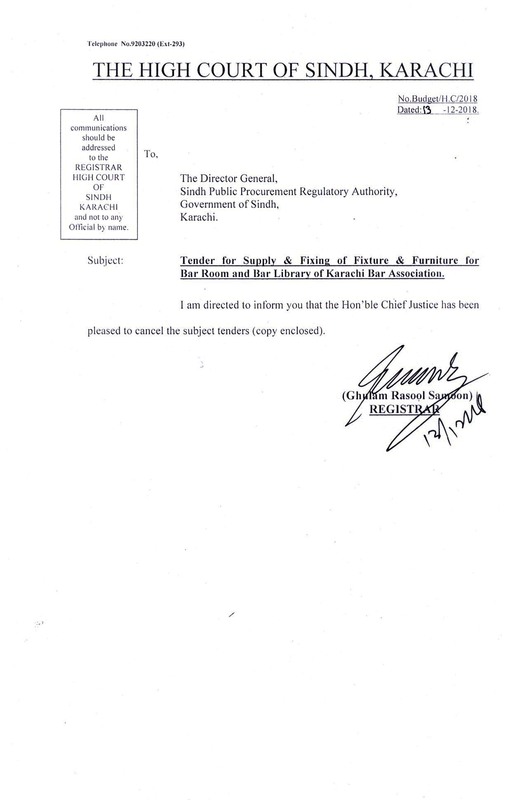 He was also posted as Presiding Officer, Sindh Labour Court No. 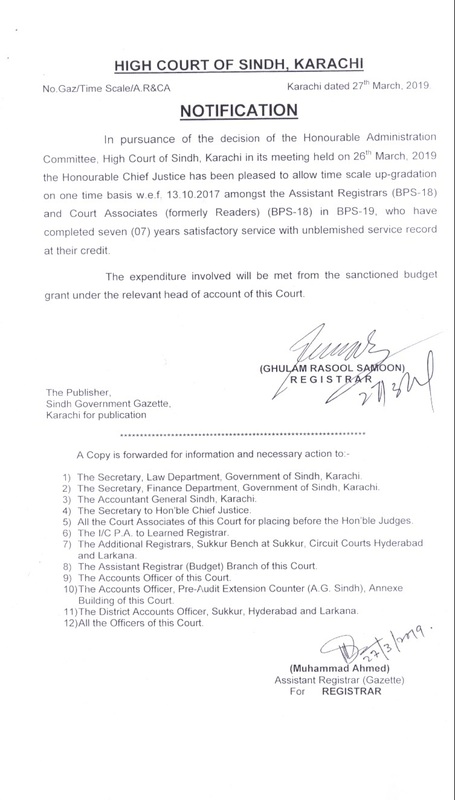 III, Karachi and Sindh Labour Court No. 8, Larkana. 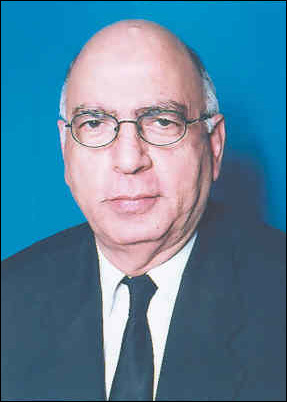 He also served as Registrar High Court, Sindh (thrice), (1986-1988), (1988-1989) and (1997-1998). 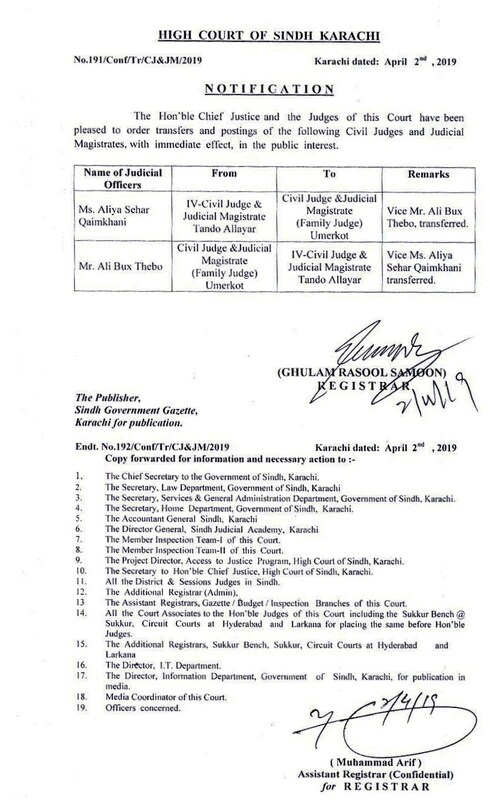 He was elevated to Bench on 27th May, 1998 as Additional Judge for one year and was confirmed on 27th May, 1999. and Retired from High Court of sindh on 19-12-2004. 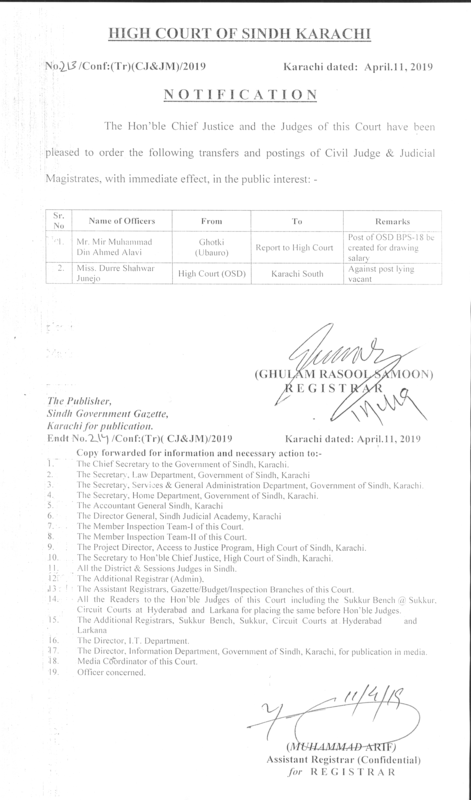 Judicial: Judge, Special Appellate Court for (Customs & Taxation), Sindh, Administrative Judge, Special Courts (Anti-Terrorism Activities) for Karachi Division. 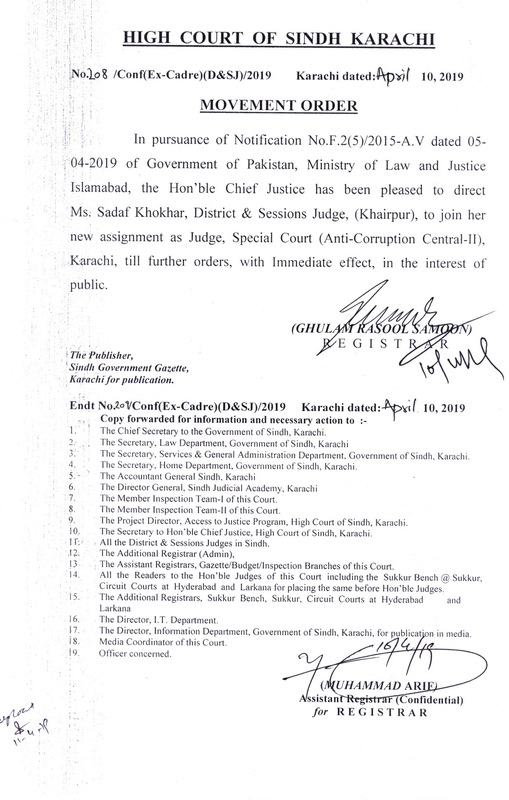 Administrative : Chairman, Sindh Zakat Council, Chairman, Islamic Board Madarba and Chairman Selection Committee for Judicial Officers, Sindh. Member, Syndicate of Karachi University and Baqai University, Karachi. He participated in third Batch for Shariah Course of Internation Islamic University, Islamabad in 1981, and attended SAARC Law Conference at Jaipur (India) in September, 2002.